I have decided to rewatch the live action Sailor Moon series commonly referred to as PGSM or Pretty Guardian Sailor Moon. Since there hasn’t been much going on with this site lately it seemed like a good opportunity to do some episode reviews as I watch them. 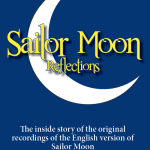 I always enjoyed doing episodes summaries for Sailor Moon Crystal and for the original Sailor Moon anime episodes as they were released on Hulu. To categorize these as reviews or even summaries doesn’t seem totally accurate as I’ll neither be giving any sort of rating on the episode or giving anything resembling a coherent summary of events but instead I’ll discuss some of the content as I find it relevant as I’ve done with the other series. While the show was relatively popular amongst fans it seems like some of you have never actually watched it! Might I suggest that this would be a good time to get caught up? Old or new fans interested in watching the series for the first time or rewatching it like myself can download episodes from either TV-Nihon or Miss Dream. TV-Nihon originally fan subbed the series as it was released on TV back in 2003-2004. They are a group that primarily subtitles Sentai series such as Power Rangers, which the live action Sailor Moon series has some things in common with. Miss Dream on the other hand is a Sailor Moon fan subbing group with more experience with the anime, musicals and manga. Both have authored their releases from DVD source material so you won’t have to deal with those annoying time stamps that came with the TV broadcast version of the show. I know I’ve earned myself a bit of a reputation as a cynic for some of my critical or mocking comments about the series so let me assure you that I absolutely adore this series. As Sailor Moon goes I think it rivals only the first season of the original anime in quality. It has great character drama and a lot of original elements unique to this series. Fans who have passed on this show for being too cheap looking should really give it a shot! If you’re watching along at home, remember the series from a while back or are just curious as to what this series was about, feel free to join the community in the comments of these blog posts to discuss the episodes. I don’t anticipate have any fixed schedule for posting these and haven’t really settled on a format, but I’m leaning towards two episodes per post. I’m at the whim of a 5 month old’s naps at this stage in my life so as always the content will be there when it’s there! 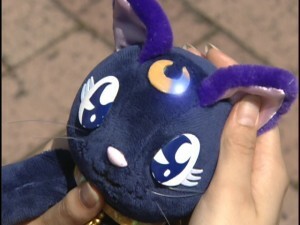 This entry was posted in Live Action Sailor Moon, Meta by Adam. Bookmark the permalink. This is a cool episode review. For some reason, for many years, merely glancing at the footage turned me off on checking it out. I know it has its fans, but something about it… I don’t know. Luna always seemed weird to me. I guess I have a 2D/hand-drawn bias! Heh. But… I think I will give it a fair chance and check out the first few episodes–I’ll probably wait until the first few reviews, to participate in discussion. I guess I was swayed by this. Some things are cheesy about it (dance fighting, luna/artemis plush), etc., but there is lots of drama. It’s not the little kiddy show that it may appear to be. So, yes, definitely check it out. The first couple of episodes are light hearted and cheesy fluff but it very quickly gets into great story elements. I showed this to my boyfriend and he loved it. I absolutely loved this series when I watched it, years ago. I may watch it along with you in between study times for school! Cool! Don’t fail on my account! I rewatched the live action show last year. The only other time I watched it was when it first came out, so I felt like I was watching it for the first time. I thought this incarnation of sailor moon was done really well. I liked that there were new elements but all the core elements were still there. I’ve watched it twice in the past and though I personally enjoy it, I can see why others hate it. It’s production values can be pretty bad. But that’s also what made it charming…it has an almost realistic feel because of how everything is kind of low budget. Not to mention, some characters get better arcs and development in this than in either of the animes or manga. Jadeite’s loyalty, Zoicite’s motivations, it all has so much more going on. They turned the drama up in this version. I wish it would get a revival or better yet, a full reboot with better funding. Fair enough! And “Dark Mercury” is intriguing to me, considering she’s always been my favorite Sailor Guardian. Funny, I’m in the middle of it right now. Has some good qualities, once you get past the first few episodes. Another group that subbed the live-action recently is seaofserenity.net. I personally prefer their translation (I’ll admit that since their translations are much more direct they come off as a bit stilted, but Miss Dream takes too many liberties with their translations for my liking). They’ve also subbed all of the Sailor Moon musicals, so that’s a nice bonus. I watched it all the way through once years ago. It definitely felt like Sailor Moon, if that makes sense. The downside was how low budget it was for what they were trying to do. I remember binge-watching it all in 3 days, now would be a great time to rewatch and relove the series.